As Media Sales Specialist, Panache Vue' Magazine I design some of the ads for non-profit organizations, and my personal clients. 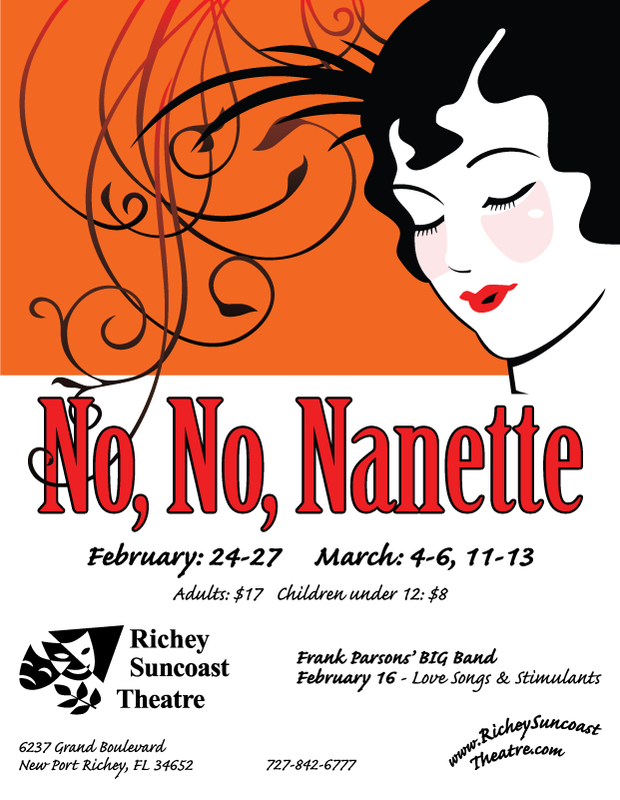 Panache Vue' supports the work of the Richey Suncoast Theatre with no-cost advertising opportunities. This ad builds on the design from May/June. As the theater has no Summer shows to promote, the 2011-2012 season was pushed to the top as the most significant ad component. 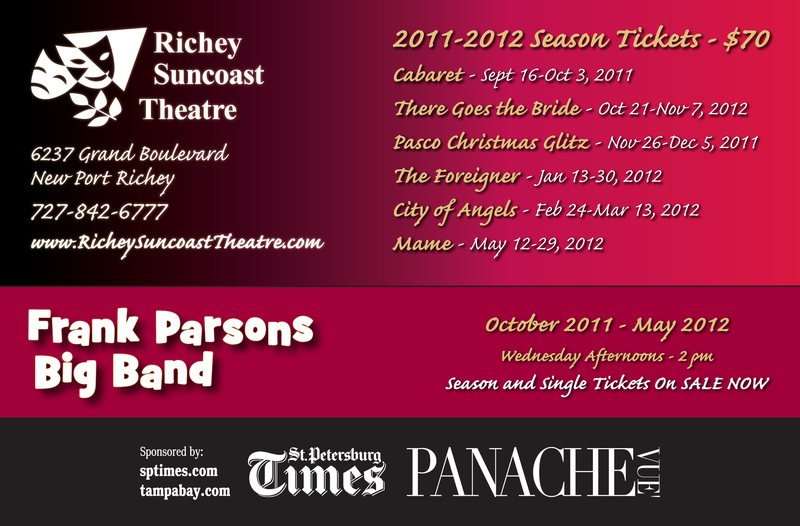 An additional season of entertainment was listed below - Frank Parsons Big Band. As the Panache Vue' logo was revised by the publisher - this was also updated. 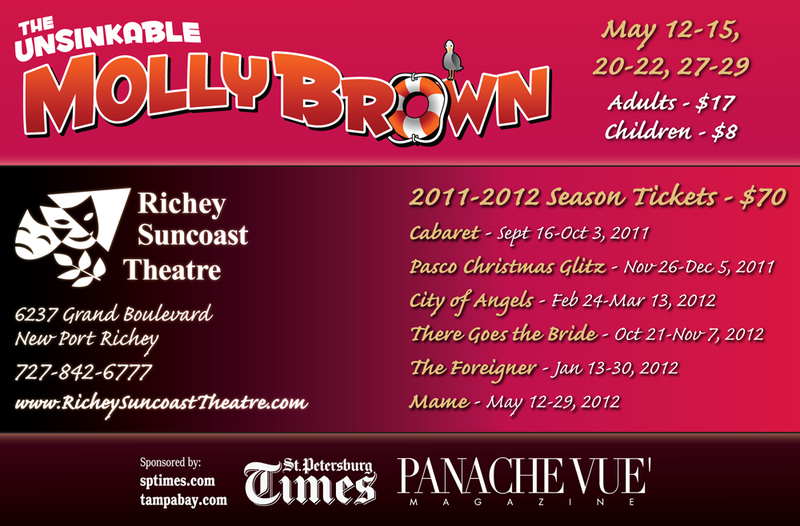 The Unsinkable Molly Brown graphic was extracted from a poster, which was designed by someone else. For the rest of the ad, I focused on the 2011-2012 season with dates and price. I chose the black, gold, and rich reds to represent the drama of theater and elements of a stage curtain. Another designer put together the larger graphic element for a poster. I edited that for the dimension of this ad, including adjustment of the decorative vines and width. 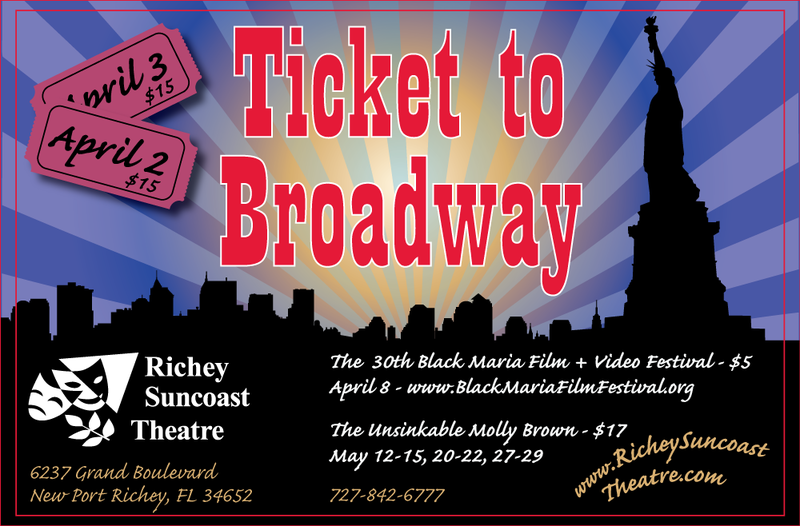 I re-created the Richey Suncoast Theatre logo, as the only item available was a low-res bitmap image.